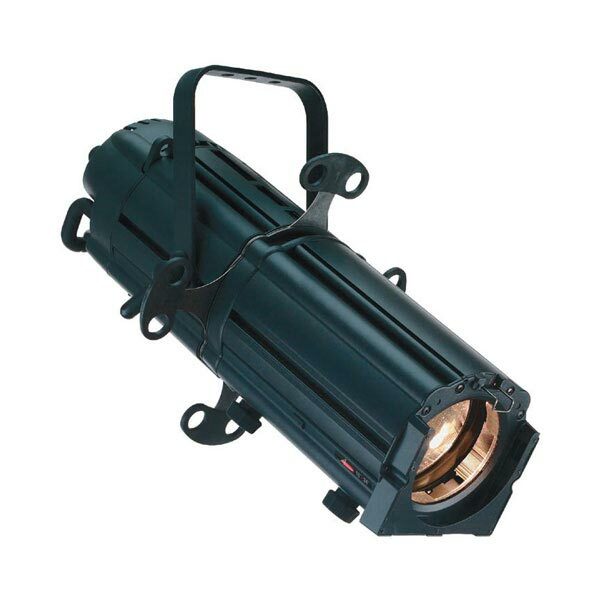 The Selecon Acclaim Axial Zoomspot is a compact high performance, cool beam ellipsoidal profile with the power and precise beam control necessary for front of stage lighting from auditorium positions and pattern image projections for the smaller to mid size stage. Precise, optical instruments with cool beam technology deliver a 'whiter' light and the cool beam ellipsoidal's heat management system uses hot mirror technology, reducing the heat in the beam to increase pattern and colour filter life. Planetary gear systems on the rear allows for quick, easy and complete control of peak / flat light beam distribution.